India ranks number one in the production of Ragi known as finger millet contributing 58% of global production, a whole, and gluten-free grain is grown without pesticides. Packed with minerals, calcium, carbs, and vitamin-D, amino acids, regular consumption will prevent malnutrition. Depression, insomnia, degenerative diseases, and premature aging. A fiber-rich diet that aids the development of a sound mind and body. Ragi can be soaked, sprouted and milled into flour for healthy traditional and a nutritious alternative breakfast, one or two helpings of ragi is safe to consume every day. Ragi flour for instant and easy preparation is available in the market, best brands like Anil millet flours will be a healthy & trustworthy choice which can be prepared as idly, dosa, roti, porridge, pancake, cookies, and bread. 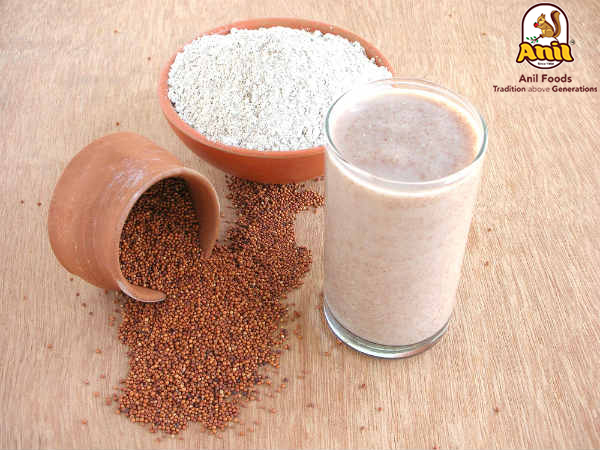 The following are the 10 reasons why Ragi must be included in your diet. No other cereal can come close to the calcium content in ragi, calcium plays a significant role in bone, teeth growth and prevention of osteoporosis, enhances metabolism prevents hypertension and menstrual pain. Contains high dietary fiber aids in digestion, decreases cholesterol getting rid of the excess fat in the liver. High polyphenol creates a restrained glucose level, and a low glycemic response preventing type 2 diabetes. Fights insomnia and helps to have a good night sleep which helps in rejuvenation and muscle repair. Regulates blood pressure and cholesterol leading to less plaque formation and blockage of vessels prevents hypertension that reduces the risk of having strokes and other heart-related diseases. The ample amount of antioxidants and amino acids helps to fight anxiety, depression and mood swings, battles migraine headaches and stress. Tryptophan relaxes the mind and body. Enhances milk handling and increases the quantity of milk and imbibes it with essential acids, minerals, aminos, calcium and iron necessary for the mother and as well as the baby.